Moving to Central African Republic - Compare Movers & Save up to 70% ! Like any international move, Moving to Central African Republic require a little preparation. A move to a new location can be a daunting experience. It’s always useful to have a little information about your destination upfront. The Central African Republic (CAR) is located in Central Africa. This country is landlocked to Congo in the south, and Cameroon in the west. The economy of Central African Republic is based on cultivation and the sale of food crops such as plantain, sesame, millet, sorghum, maize, peanuts and cassava. The climate in Central African Republic is tropical. Intlmovers is an easy way to compare international moving companies that can help you with your international move to or from Central African Republic. You can save time and money, because you can compare quotes quickly and easily from up to six international moving companies at once to move you to Central African Republic. Comparing the quotes that you receive. You can more quickly see the different services that are on offer from the different companies.Make sure that you get the best value for your international moving budget. The international moving companies have years of experience with moves to Central African Republic. The Intlmovers quotation service is a free service.You can save a lot of money by comparing quotes for your move to Central African Republic. Comparing the quotes that you receive. You can more quickly see the different services that are on offer from the different companies.Make sure that you get the best value for your international moving budget. 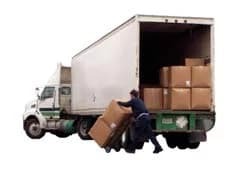 After submitting your quote request you will be contacted soon by moving companies. They will send you their personal moving quote in writing. Don’t bother chasing around quotes. Intlmovers does the work in the background for you.